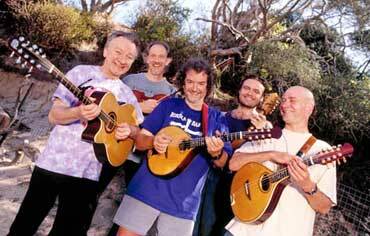 Andy Irvine (Ireland) - A man who has long been acknowledged as one of Ireland’s most highly respected musicians. Donal Lunny (Ireland) - Probably the most influential of all Irish traditional style musicians and producers of the past thirty years. Rens van der Zalm (Holland) - Virtuoso fiddle and guitar player. Nikola Parov (Hungary) - One of Bulgaria’s most respected musicians who plays gajda (Bulgarian pipes), kaval, gadulka and bouzuki and who was a featured musician in the famed Riverdance Orchestra. Bruce Molsky (USA) - Brilliant singer, fiddler and five string banjo player from the USA.